Airbnb app on a smartphone. Ada County was the busiest county in the state, with more than $8 million generated from 73,300 guest arrivals. BOISE, Idaho — Turns out that being an Airbnb host was a pretty good side hustle for Idaho property owners in 2018. The hospitality giant announced Tuesday that hosts earned a total of $37.5 million in supplemental income from over 322,000 guest arrivals in the state last year. The company says the more than 4,400 hosts who share their homes in Idaho on Airbnb typically earn about $6,600 each year. 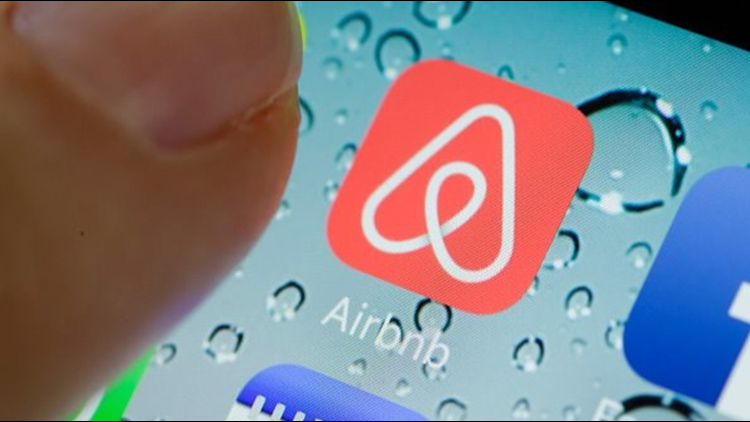 Airbnb pointed to the value that hosts in its network provide when hotels sell out during big events and popular weekends - including in Boise during Bronco football weekends and mountain communities during the ski season. According to Airbnb, Ada County was the busiest in the state, with 73,300 guest arrivals generating $8.2 million for their hosts. Bannock County rounded out the top 10 with 9,600 arrivals and $721,900. Shared room in Twin Falls, United States. This is 1 of 4 current listings on the same property. Winter Time - Crash on 1of2 couch hide-a-beds! or - Have a tent and just want somewhere safe to pitch it? or - Shoot even my Mini van with a space heater should do the trick!